The Ring: Shah Rukh khan In A Ninja Avatar, How Cool! 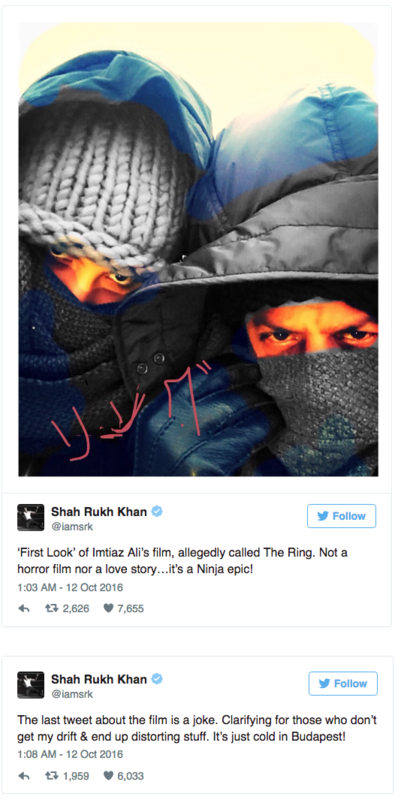 Home BOLLYWOOD The Ring: Shah Rukh khan In A Ninja Avatar, How Cool! Shah Rukh Khan is busy shooting with Imtiaz Ali in Budapest for his tentatively titled film, The Ring. SRK will be working with Anushka Sharma in the film. From past few months, there were headlines that the film is going to be a complete romantic drama. 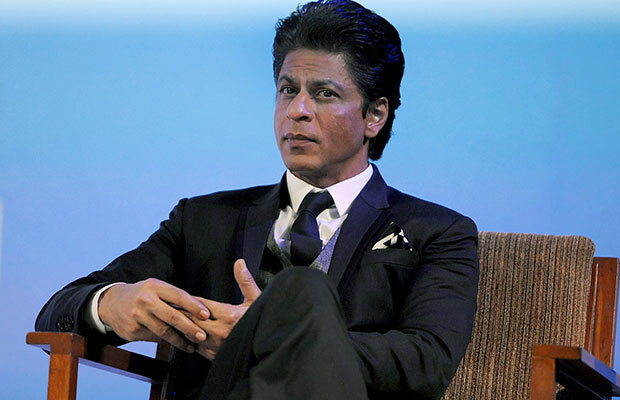 Well, yesterday, SRK revealed that it is not going to be a romantic film, but a ninja epic! Before you start thinking what’s all this about, let us tell you that King Khan was joking. The climate in Budapest is very cold. SRK and Anushka covered themselves with jackets, scarves, caps and all kinds of woollens showing only their eyes. And that’s when SRK tweeted this funny pic with a much funnier caption. Not everyone understood his joke and SRK got shocking comments for the tweet. So, he later clarified that he was just kidding and the film is not a ninja tale. The Dilwale actor even had an #AskSRK session with his fans yesterday. He answered many interesting questions about his films, health, and kids. Previous articlePhotos: Shahid Kapoor, Mira Rajput’s First Trip With Daughter Misha!